Are you getting ready to move into a new home soon? Are you finding yourself buried beneath boxes of stuff and feeling a bit overwhelmed by the whole process? A great way to relieve stress accumulated by the experience of relocation is to make sure one particular item is at the top of your “To Be Purchased” list. Funny enough, the answer isn’t silverware, furniture or plates but something else that can provide you with pleasure, relaxation and also an aesthetic appeal-plants and flowers. According to flower shop owners, a large percentage of their clientele is derived from people who have just moved into a new apartment or purchased their first home and are looking for greenery to spruce up their abodes. Luckily, these florists are prepared with a list of their own that can guide customers towards personalized choices which are just right for them! From garden growers to those who lack a green thumb, there is something for everyone to help make the moving day more fun! Take a look at these top picks for yourself that also make wonderful gifts for friends. 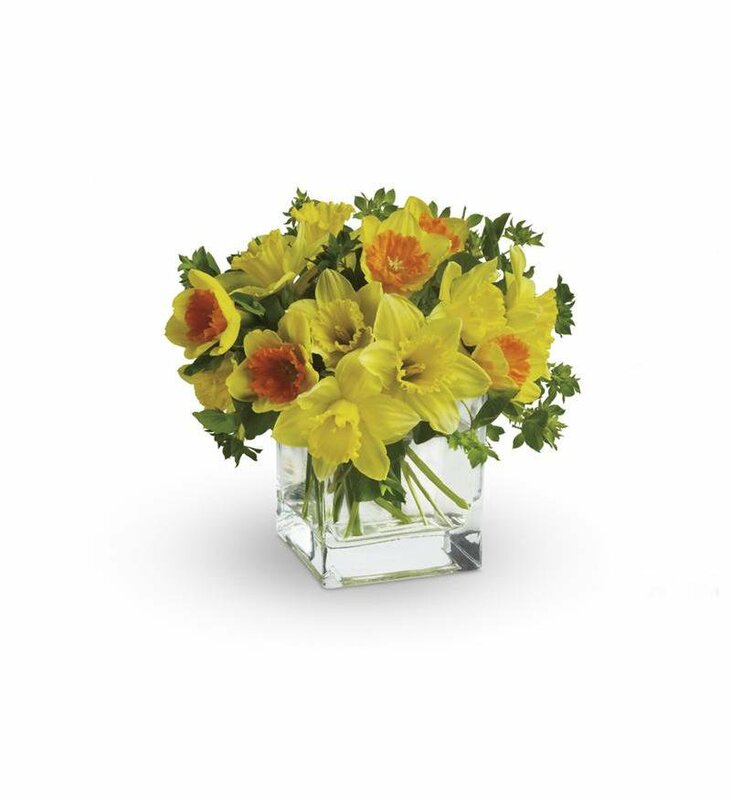 Nothing says “Smile!” like a fresh bouquet of spring daffodils to brighten up a place. These beauties are both cheerful in color but also contain an aroma that will fill any space with a sweet scent. These flowers are stunning in a simple vase and work best when arranged in large clumps with several stems. The daffodil comes in shades of yellow, white, peach and variegated shades of peach so you’ll have fun picking out the right tone you’re looking for. Another benefit of purchasing daffodils is that they are usually relatively inexpensive can be bought in several different locations including your yard if it happens to be the right time of the year. If you’re more of a plant person than you have a ton of options that are perfect for dressing up a new home and all are readily available from your local florist. First off, we have the Spathiphyllum plant that is almost unkillable with even the worst plant care. These pretty plants are tropical in appearance and require little water or sun to do just find on their own. Other great ideas are Boston ferns which are a bit fussier but are gorgeous on a hanger or placed in urns as well as the cactus plant- another ideal variety for those who are too busy to pamper a plant.